With a grateful heart, for a fourth year in a row, YOU have gifted two more bereavement cradles. The first cradle will be donated to St. Luke's North Hospital. The second one (two, yes two!!! ), will be donated to St. Luke's South Hospital. The following hospitals/centers in Kansas City have cots. It is with much excitement and gratitude that we announce Kansas City gets another CuddleCot! Thank you to each generous donor - you are our family, friends and even strangers. So many of you don’t even live in Kansas City who donated as well! That is an act of love and service to the bereaved mother. 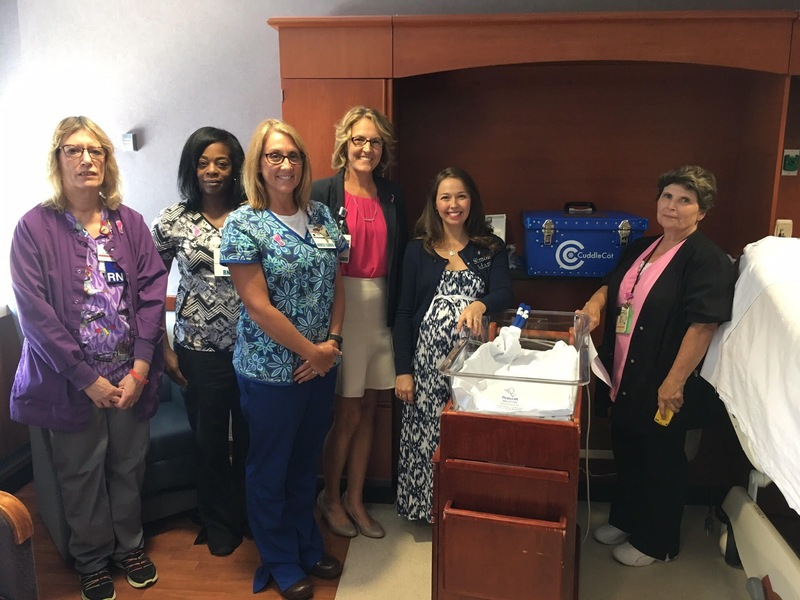 The 2017 CuddleCot was donated to Research Medical Center! I'm sorry. There's no heartbeat. Parents never want to hear these life-changing words, but many do. The Balentine family and You Made Me Mom, for a second year in a row, with your help, raised $2,950 for a CuddleCot™ during the second anniversary week of Simon’s life (May 14, 2016 at 9:55pm through May 21, 2016 at 10:17pm). Thank you to each person who donated to the campaign. You are giving time to families facing the loss of their baby. The cot was donated to Truman Medical Center in Kansas City and was used within 3 hours of donation. 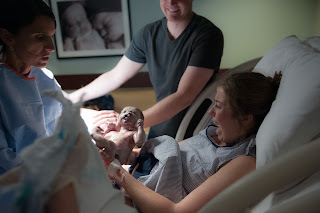 The wonderful St. Luke's Labor and Delivery team accepting Kansas City's first CuddleCot. 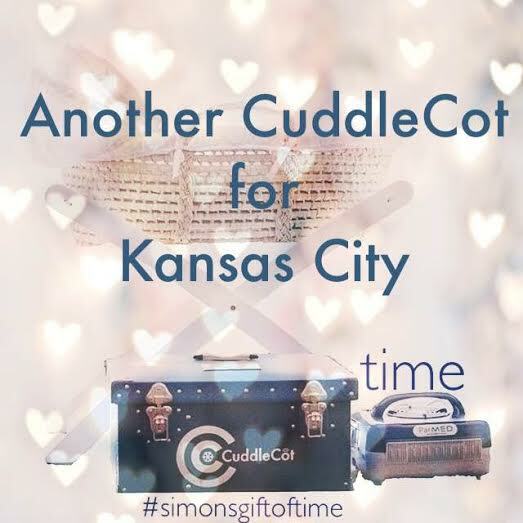 We were honored to raise funds for the first CuddleCot™ in Kansas City. 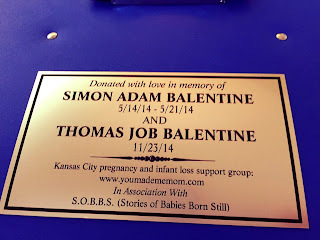 The fundraising campaign was active the first anniversary week of Simon's life beginning Thursday, May 14, 2015 at 9:55pm through Thursday, May 21, 2015 at 10:17pm. After raising enough for one CuddleCot in just 14 hours, we decided to raise the challenge and try to fund money to purchase two cots. In seven days and twenty-two minutes you gifted $8,345.00! One CuddleCot was donated to St. Luke's Hospital (Kansas City/Plaza). The second CuddleCot will be ordered and donated to another hospital after we research and prayerfully consider which one will use it most. You Made Me Mom now has funds to spend on becoming an official non-profit ministry! We will use funds on business cards, paper resources for local hospitals, the bassinet program for miscarriage and stillbirth. We will have enough money in the new bank account of You Made Me Mom for future projects to support the ministry, and thus families affected by loss of a child. 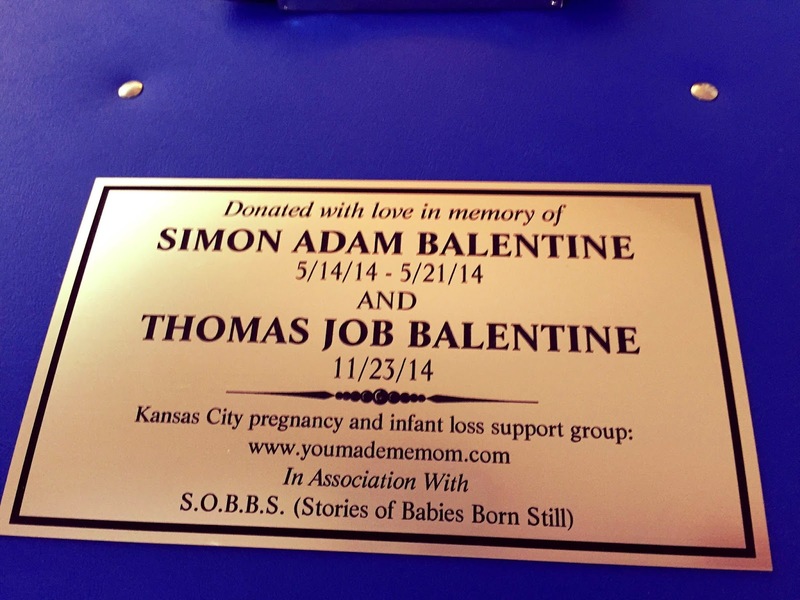 These generous donations speak love to us and honor the legacies of our two sons, Simon and Thomas. Thank you for responding with an overwhelming "YES" to our call to love and help others families in need. You have made a huge difference in the lives of families experiencing the loss of their newborn. Thank you for your willingness to give time to these families. We prayed over the CuddleCot before it left our house. Headed out to donate the first CuddleCot in Kansas City. With Simon and Thomas in spirit, we head in to donate the cot. 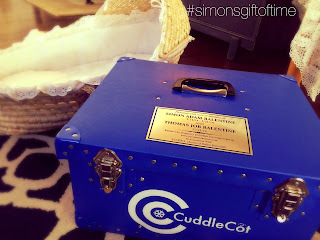 Thanking St. Luke's Hospital Kansas City for accepting our offering of the CuddleCot. All but two of our nurses who have delivered our three sons. Brea Bradley, RN, and bereavement nurse at St. Luke's Hospital (and someone we call friend). Lord, please bless let this bassinet bring comfort to those in distress.